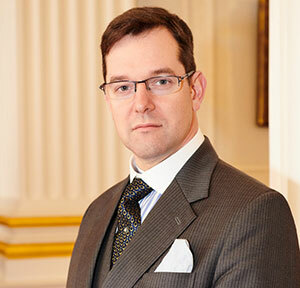 Following negative reporting recently about Freemasonry in the Guardian newspaper and also seen in other media outlets, the CEO of United Grand Lodge of England, Dr David Staples has responded by taking out a full-page advertisement in leading national newspapers to publish a letter, refuting the inaccurate and misleading claims that have been made. The full letter, which has been published in The Times, Guardian and The Telegraph is reproduced in full below. At the United Grand Lodge of England, we value honesty, integrity and service to the community above all else. Last year we raised over £33 million for good causes. As an organisation we welcome individuals from all walks of life, of any race, faith, age, class or political persuasion. Throughout our 300-year history, when people have suffered discrimination Freemasonry has embraced them into our lodges as equals. The United Grand Lodge of England believes that the ongoing gross misrepresentation of its 200,000 plus members is discrimination. Pure and simple. Our members shouldn’t have to feel undeservedly stigmatised. No other organisation would stand for this and nor shall we. I have written to the Equality and Human Rights Commission to make this case. I appreciate that you may have questions about who we are and what we do, so why not ask those who know? Over the next six months our members will be running a series of open evenings and Q & A events up and down the country. These will be promoted in the local media and on our website.